In an interview with Myce, the lead developer of AnyDVD doesn’t rule out he will be able to crack the AACS 2.0 protection used on Ultra HD Blu-ray discs. He also has good news for recent lifetime license purchasers and he provides a little more information on his idea of making a ‘decryption box’. Although it’s still uncertain whether former Slysoft employees will continue developing AnyDVD under a different name, the first signs are good. 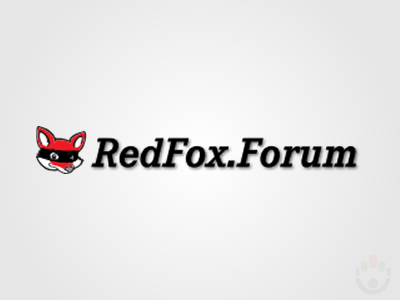 Yesterday they changed the logo and name of the former Slysoft forums to RedFox.forum and earlier they openly discussed the option of continuing development of popular copy protection circumvention software AnyDVD. Because of all those recent happenings we thought it would be a good idea to ask whether the AnyDVD developers would even attempt to crack AACS 2.0. Especially because last week the Chinese company DVDFab announced it would not decrypt or circumvent AACS 2.0. Although that doesn’t confirm if, and when, AACS 2.0 will ever be cracked, for many users looking to backup future Ultra HD Blu-ray discs it’s likely assuring the AnyDVD developers will look into it. So far they’ve always been able to circumvent any copy protection found on optical discs. This includes protections as described in the specifications of various optical disc formats when they were launched such as CCS and AACS, but also newly added protections such as BD+ and Cinavia. Nevertheless, the first step to overcome is finding a way to continue development of AnyDVD. A potential issue is that Windows 10 requires signed drivers. Because AnyDVD heavily relies on a kernel mode driver this is an important issue. It requires the AnyDVD developers to send Microsoft the driver, which has to approve it or Windows 10 will refuse to load the driver. This is different from before, when Microsoft allowed developers to self-sign their software. Given AnyDVD’s reputation it could be that Microsoft doesn’t want to approve the AnyDVD driver. It appears that the recent developments are a loss for everyone; the users, the ex-Slysoft employees and also the company’s former CEO. This might indicate that Hollywood has won, but with the developments of the last couple of days, it’s likely the former Slysoft employees only lost a battle and that the war isn’t over.